MOV is one of the top favorite file formats among Mac users when it comes to soundtracks. But what if you have to send the audio file to a friend whose device doesn’t support MOV format? Well, the best way here is to convert MOV to MP3 format as MP3 is widely accepted by media playing devices. But, how to convert to MP3? Much to your convenience, leading software developer Movavi has come up with a state of the art Video Converter which can also convert video to audio format. The post below is a brief on how to convert your MOV file to MP3 with the help of Movavi Video Converter. The first thing is to download & install Movavi Video Converter into your system. Go to Add Media and click on it. Then, click on Add Video. It will let you choose and bring your MOV file to the Movavi program window. Then, you will have to choose the output format. So, open Audio tab from Movavi program window & select MP3. You will also have to decide on the bitrate value before you move on to the next step. 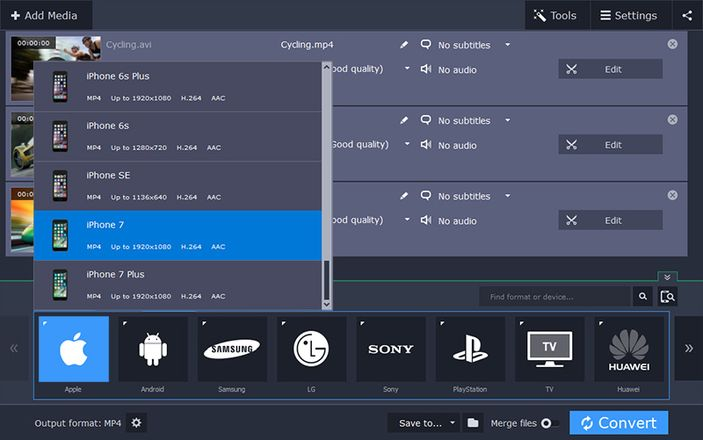 Movavi Video Converter comes with an inbuilt list of bitrate values for your convenience. Now, we have reached the final step of the conversion process. But, before you start the conversion, you will have to select the destination folder for the converted file. Go to Folder icon located near Save to & select the destination folder. Then, click on Convert to start the conversion process. One of the best features of Movavi Video Converter is its super fast conversion capacity. The product is engineered with lightning fast pace and its conversion speed is way higher compared to other video converter programs around. This is another big reason to count on Movavi Video Converter. The advanced Movavi software not only converts video in lightning-fast speed but also ensures there is no loss of quality. What more we can ask for? Movavi Video Converter works with all kinds of media formats, including video, audio, and image. Movavi Video Converter is not just about converting videos. In fact, it can also perform major editing functions. As a Movavi user, you will be able to cut out undesired parts from your file, adjust sound and also improve the file’s overall quality. Movavi Video Converter enables you to save your files in mobile-friendly formats so that they can be easily shared for mobile devices. If you have to convert multiple MOV files into one single format, you can upload all the files simultaneously on the program window- instead of adding them one by one. Next articleHow to Fix Skype Problem with Recording Device?